William takes mini-muffins in his lunch every week, just one or two, so every couple of weeks, I'm making more muffins! and, I get tired of making the same thing over and over, or I have some ingredients I need to use up so I have to try something else. sorry for the awful phone pic. Hubby used the camera over the weekend and won't answer my calls to ask where it is..stinker!! 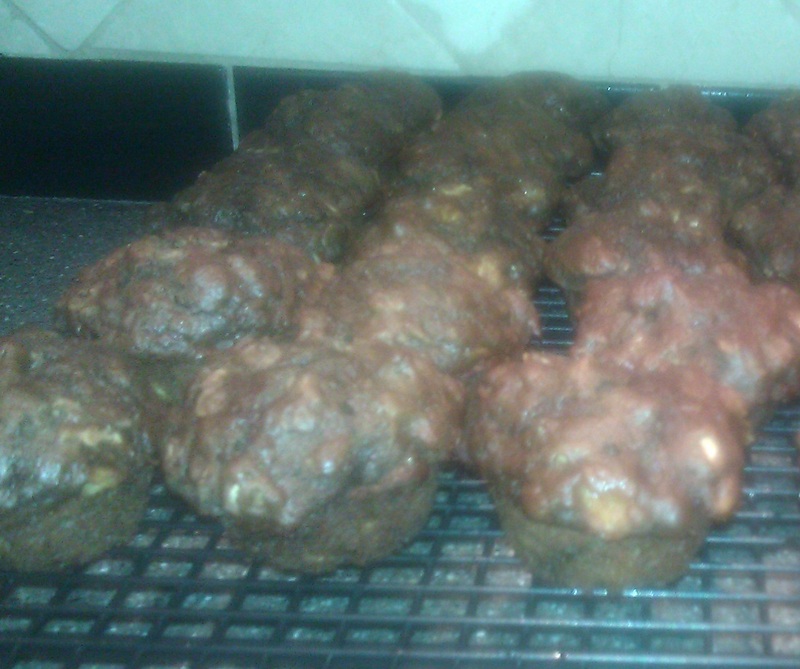 This week are these Chocolate Oatmeal Muffins! 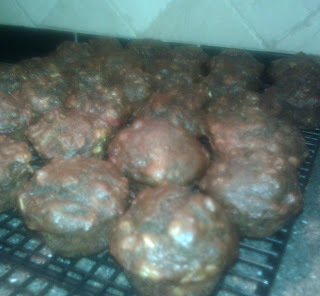 They also have banana in them, but I didn't want to confuse these with the Chocolate Banana Muffins I've already posted. In a large bowl, combine the flour, oatmeal, brown sugar, baking powder and baking soda. In a separate bowl, whisk together the bananas, soy milk, vegan margarine and vanilla. Combine with the dry ingredients and stir just to combine. Grease or paper muffin tins. Fill each muffin about 2/3 full with batter. Bake for 20 - 25 minutes, or until inserted toothpick comes out clean. For mini-muffins, bake 15 minutes. The addition of the oatmeal to these muffins really makes them a bit more sturdy than usual vegan muffins, in my opinion. 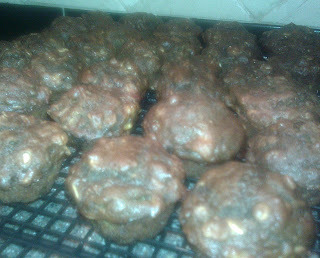 These are pretty good and seem to be most flavorful after they've cooled. Next time I might use coconut milk instead of soy, tho. I think the nutty flavor will go better with the chocolate.